This traditional modern beach house is ideal for your next escape. Affectionately named after a town in France, St Malo offers incredible ocean views, comfort and stylish beach themed decor. This tasteful beachfront home is convenient to everything. 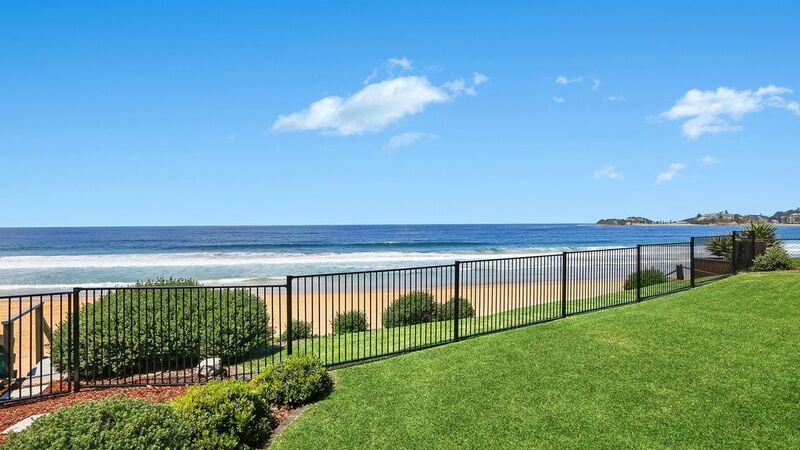 Step on to the sand from your own private pathway and take a walk along the beach to Terrigal's eateries, shops and boutiques. Sit at the window bench seat and take in extensive ocean views that await, spanning from Forresters Beach across to The Skillion. Huge master bedroom contains a queen bed, balcony access and built-ins. Bedroom 2 (children's play room) contains two single beds, two trundle beds, balcony access and built-ins. Bedrooms 3 and 4 each contain a queen bed, built-ins and TV. The bond for this property is $2,000. Bond is returned to guest approx 48 hours post-checkout once the property has been cleaned and inspected for damages. Great location. Great property. Frustratingly, they had a beautiful spa that was locked. While the kitchen was good, there were no basics like salt and pepper or cooking spray. So make sure you bring all your kitchen supplies. Dave, thank you for staying at St Malo! So happy you enjoyed your stay. St Malo is a self-serviced apartment hence the need to provide your own food and any extras that you require. The owner's swim spa has always been closed at their discretion and is not mentioned in advertising. Hope to see you again in future. A calm and relaxing place. We enjoyed a calm and healing family gathering weekend after a terrible year of hospital visits, bereavements and health scares. To be able to all sit around a large table or be all together on the lounges in this peaceful home was great. We will have lovely memories of relaxing on the back deck looking out at the waves, and enjoying the stars, protected from the wind but outdoors, and the weekend's jigsaw puzzle in the lounge room which could be set up undisturbed. The discreet outdoor shower with hot water was great after a dip in the surf right off our front lawn, We also recommended Suq, a tapas-style restaurant across the road. Thanks for your feedback - it's great to see you created beautiful family memories and we hope that these memories last for years to come. It was an absolute pleasure having you stay. What a great review - thanks for your feedback Mark. We're so glad you had an enjoyable stay.